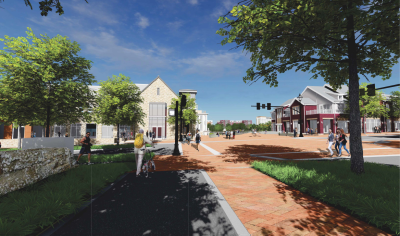 At its August 28, 2017, meeting Dublin City Council approved the final development and landscaping plans for several transformational projects located within Downtown Dublin’s Historic District. 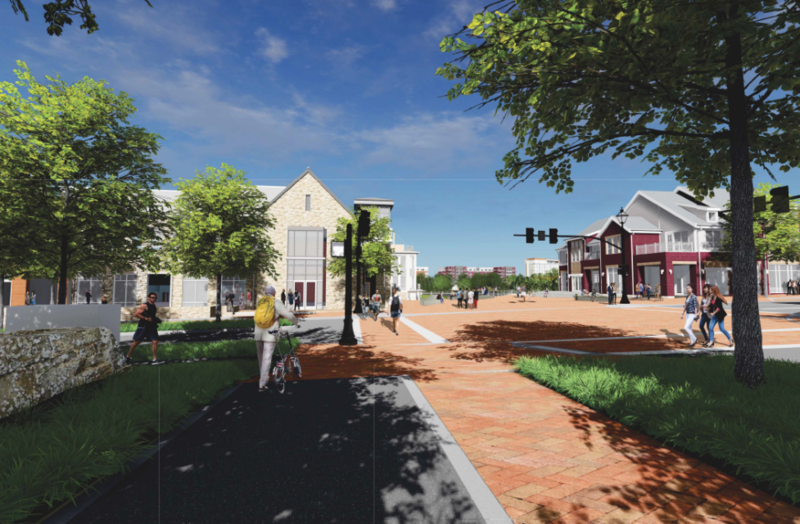 These include the final plans for City’s new Downtown Parking Garage (being built in tandem with the new Dublin branch of the Columbus Metropolitan Library), the West Plaza of the Riverside Crossing Park (which will provide access and to the new pedestrian bridge), and a landscaping plan designed to enhance the area immediately south of the City’s Grounds of Remembrance. 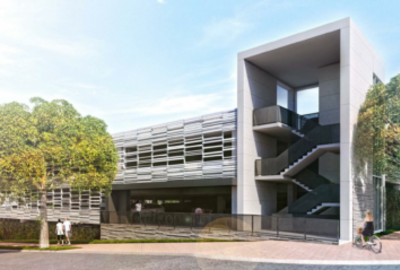 The new parking garage will include approximately 550 new parking spaces, 200 of which will serve the new library. 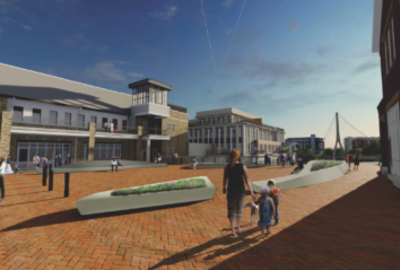 The plaza will be located on the east side of N. High Street, opposite the new library and immediately south of the new Bridge Park West, the Crawford Hoying mixed-use development, now under construction. At this meeting City Council also approved the Final Subdivision Plat associated with the new library and garage development. The Final Development Plan for the new Dublin Branch library is currently scheduled to come before City Council on September 11, 2017. 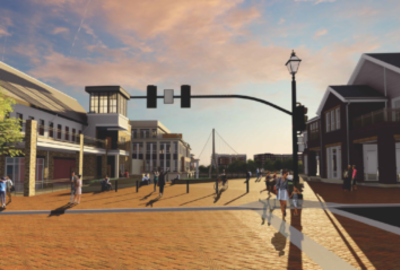 All of these projects are accessed by North High Street, and its reconstruction from North Street to Indian Run Drive remains on schedule for completion this November. 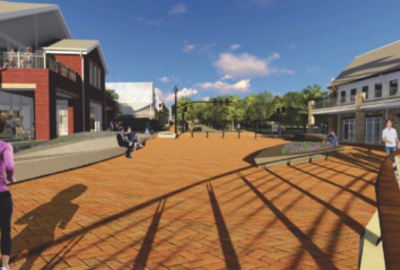 The retaining wall and pedestrian bridge abutment that connect to the new West Plaza are now completed, and additional plaza construction should begin later in 2017. 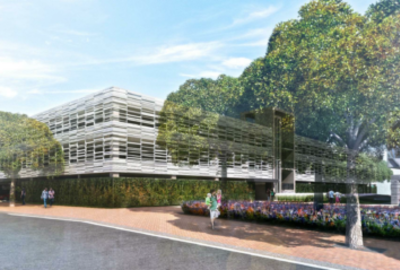 On the west side of High Street, the City and the Columbus Metropolitan Library are expecting that the construction of the new library, parking garage and the abutting roadway improvements will begin in early 2018.